Parallel workloads using compute resources such as GPUs and accelerators is a rapidly developing trend in the field of high performance computing. At the same time, virtualization is a generally accepted solution to share compute resources with remote users in a secure and isolated way. However, accessing compute resources from inside virtualized environments still poses a huge problem without any generally accepted and vendor independent solution. This work presents a brief experimental evaluation of employing dOpenCL as an approach to solve this problem. dOpenCL extends OpenCL for distributed computing by forwarding OpenCL calls to remote compute nodes. We evaluate the dOpenCL implementation for accessing local GPU resources from inside virtual machines, thus omitting the need of any specialized or proprietary GPU virtualization software. Our measurements revealed that the overhead of using dOpenCL from inside a VM compared to utilizing OpenCL directly on the host is less than 10% for average and large data sets. For very small data sets, it may even provide a performance benefit. 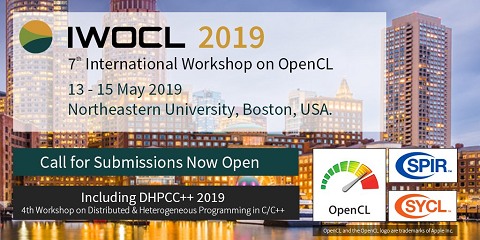 Furthermore, dOpenCL greatly simplifies distributed programming compared to, e.g., MPI based approaches, as it only requires a single programming paradigm and is mostly binary compatible to plain OpenCL implementations.